If the fire season of 2015 taught us home owners anything, it taught us to make sure that our homes are well prepared. We can reduce worry by removing ladder fuel - low-hanging branches of all types - to a height of at least 15 feet, thinning trees, removing dead and dying trees, and landscaping with fire safety in mind. 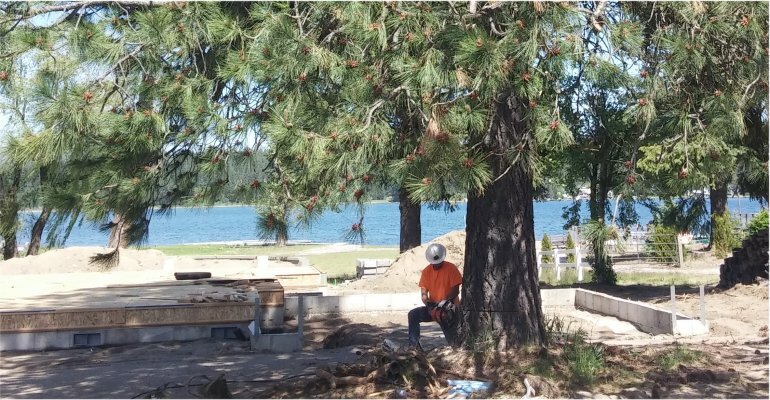 The Tree Service are experts in helping you through a fire risk reduction plan that includes tree removal, limbing, tree trimming, ladder fuel removal, and landscaping that can ease your fears about protecting your family, your home, and your property. If you've got wooded areas around your home, don't wait until it's too late to get a professional fire reduction evaluation on your property! It's far less expensive to be prepared and have the preventative work done professionally by experts to protect your property than to rebuild or replace after a fire. Call The Tree Service today for your consultation!